Whether you are moving on to a new technology or have a recent acquisition resulting in data on several different legacy backup environments, the headache is: how do I still make sure I can access the data whenever and wherever I need it? While the traditional methods of data migration or consolidation might come to mind first when considering how to handle your data, there is actually a better way. The alternative method, which can significantly reduce costs, is the elimination of multiple legacy backup environments altogether. This kind of service offering allows for significant cost savings in the areas of data center hardware, software, operations, and even power and cooling, which promotes green environmental practices. Most importantly, this method frees up your IT staff to help refocus and prioritize their daily work, which keeps your business ahead of the game with innovations. Does it make sense to migrate the legacy system to services? What services make sense to develop? What legacy system components can be used to implement these services? What changes to components are needed to accomplish the migration? What migration strategies are most appropriate? What are the preliminary estimates of cost and risk? What is an ideal pilot project that can help address some of these risks? Does the current staff possess the skills necessary to move the strategy forward and/or are additional personnel with the required skills needed? These factors are crucial to forming a cohesive plan that keeps legal, compliance, IT, and the business unit as a whole on the same page. The first thing that should be done is having the business unit and legal team determine what data is absolutely necessary to keep for compliance and future potential litigation purposes. According to the Director of Sales and Business Development at TDS, Steve Flitter, “80% of data does not have to be migrated or consolidated.” Knowing the quantity of your targeted data that needs to be retrieved will save you money and time. 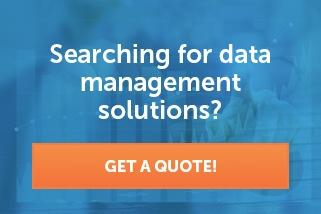 Knowing your data is accessible whenever you need it is an essential part of a data backup plan. Engage the IT team to understand the state of your company’s backup environment. At this point, the possible options may include: Complete migration of data from the old system to the new one, which may cost millions depending on how much data you have. Eliminating the environments and moving necessary data offsite, in some cases, it may be your best cost-saving alternative. If you choose to work with a company that is in the business of data backup and retrieval, a legally defensible and repeatable service may be in your best interest. This way, your data is in good hands, and any requests for old data can be retrieved in a timely manner, which removes the risk of potential sanctions for delaying a litigation event. Not only can it be a more cost effective option, it is also less time consuming for your IT team. At the end of the day, it is important to select a method that fits your business needs. Speak with an expert at TDS to discuss whether you can take advantage of our Restoration Assurance Program.